Ustyianovych, Mykola [Устиянович, Микола; Ustyjanovyč] (pseuds: Drotar, Yor, Naum, Nykola(i) (i)z Nykolaieva, N.U. ), b 7 December 1811 in Mykolaiv (Lviv region), Stryi circle, Galicia, d 3 November 1885 in Suceava, Bukovyna. Writer, priest, and civic figure; father of Kornylo Ustyianovych. 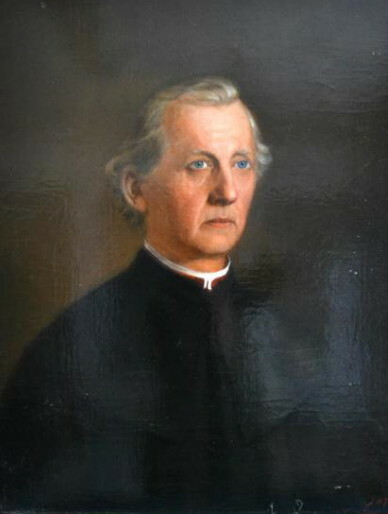 A graduate of the Greek Catholic Theological Seminary in Lviv (1835–8), he served as a pastor in Slavsko, Stryi circle (1841–9, 1850–70), and Suceava (1870–85). In 1848 he was one of the initiators and organizers of the Congress of Ruthenian Scholars, as a member of which he championed the use of the vernacular Ukrainian language in literature. In 1849–50 he edited the newspaper Halycho-ruskii vistnyk in Lviv and adapted Józef Korzeniowski's Karpaccy górale (The Carpathian Highlanders) for the Galician stage under the title ‘Verkhovyntsi Beskydiv’ (Highlanders of the Beskyds). From 1861 to 1866 he was a member of the first Galician provincial diet. 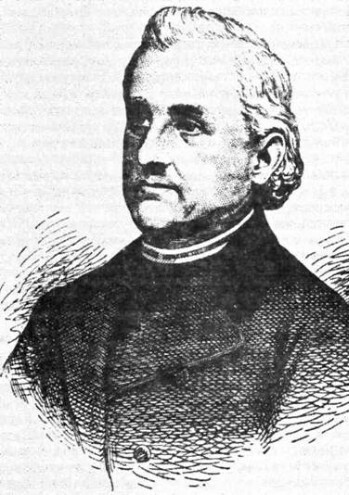 Ustyianovych wrote his first Ukrainian poem in 1836 under the influence of his friend Markiian Shashkevych and joined the Ruthenian Triad circle. Because of sanctions against those writing in the vernacular, his next three poems appeared only in 1847, in the almanac Vinok rusynam na obzhynky. During the Revolution of 1848–9 in the Habsburg monarchy he began publishing Romantic poetry on patriotic, social, lyrical, historical, and folkloric (Boiko) subjects, prose based on Galician ethnography and history, and articles on political and cultural issues in Zoria halytska and Halycho-ruskii vistnyk in Lviv and Vistnyk (Vienna) and Otechestvennyi sbornik in Vienna. His poems ‘Verkhovyno, svitku ty nash’ (O Highland, Our Little World) and ‘Hei, brattia opryshky’ (Hey, Fellow Opryshoks) became popular songs. From 1861 on, having become a Russophile, he wrote poems, stories, and articles in the artificial yazychiie and in Russian (in Suceava). Published separately were a volume of his poems (1860), his story Staryi Iefrem (Old Yefrem, 1874), and a book (1879) consisting of ‘Mest' verkhovyntsia’ (The Highlander's Revenge) and ‘Strastnyi chetver’ (Passion Thursday), two of the best Galician novelettes until the 1860s. The fullest edition of his poems (together with Antin Mohylnytsky's) appeared in Lviv in 1913.